England’s chance to stay the No. 1 in the future will be largely dependent on England’s spin especially in future Asia tours, where the wickets heavily favour spin. Graeme Swann has been arguably the best spinner England has seen for years. He may have had a quite winter but he has been over the past few years, undoubtedly the best and most reliable spinner in the world. This article will look at what alternatives England have when Swann eventually retires or gets injured. 1. Scott Borthwick: Scott Borthwick aged 21 will be aiming to continue his performance with both bat and ball to help Durham achieve great things this season. The amazing leg-spinner enjoyed a great season in 2011, taking 37 wickets and scoring 470 runs from 30 matches across all three formats that the county season holds. Borthwick’s got his first senior five-wicket haul in the LV= County Championship clash at Sussex, also this earned him international recognition. Borthwick is best known for his bowling but he will definitely be aiming to improve batting to get into a All-Rounder star. 2. Danny Briggs: With Danny Brigg’s birthday in just 8 days, this slow left arm orthodox spinner, progressed through Hampshire's Academy system, while additionally playing for Ventnor Cricket Club on the Isle of Wight. 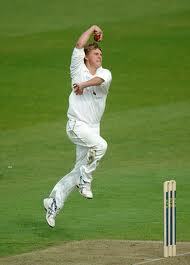 He made his first team debut for Hampshire in the 2009 Friends Provident Trophy Vs Nottinghamshire at the Rose Bowl. Briggs has been a key player for Hampshire and has been continually been looked at by the England selector’s and should make a breakthrough on to the international scene in the next few years. 3. James Tredwell: Tredwell is a left-handed batsman and a right-arm off break bowler, Tredwell has played his entire career at Kent. He made his debut in the 2001 season, just nine days before his first appearance for England Under-19s. 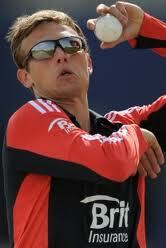 Tredwell is highly rated by the England selectors. England’s future will highly depend on its Spinning department, if they are to continue to win games.